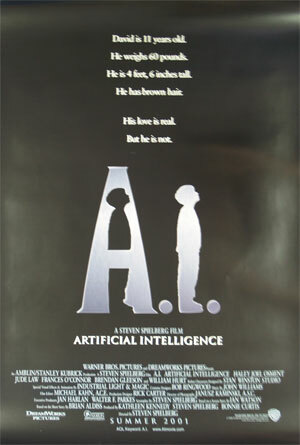 Details Haley Joel Osment (Sixth Sense) plays the android child programmed to love in a partial thematic development paying tribute possibly to Pinocchio. The young figure in the poster is a clever cut out from the A to form the I (but as all parents know life is never quite that simple!) Rolled Double-sided poster.